Clean the oil suction gallery (2) with compressed air. Be sure to remove all dirt and old gasket material from the suction gallery (2). 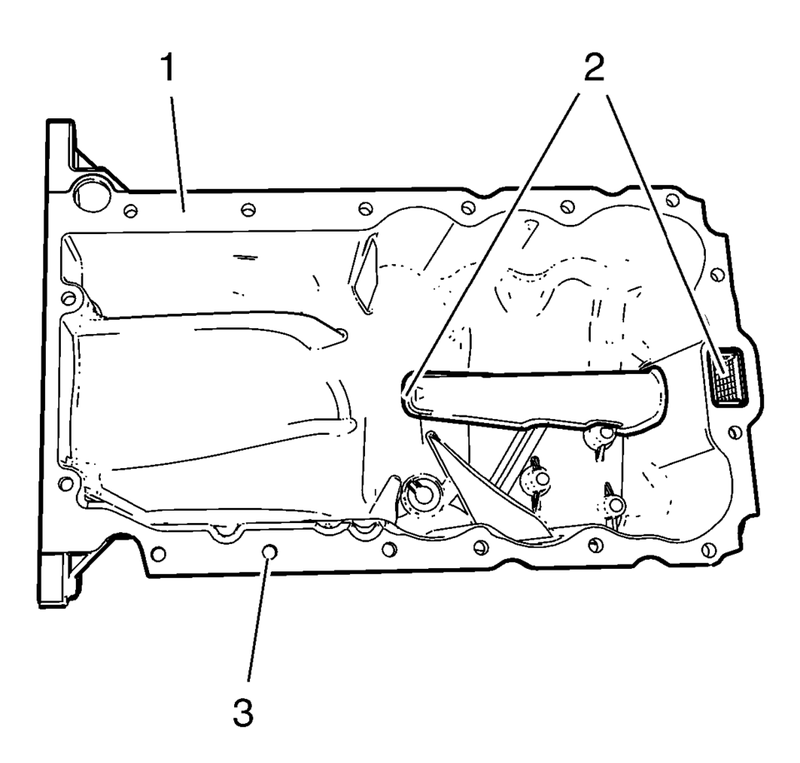 Remove all remaining old gasket material from sealing surface (1) and screw bores (3). Clean the sealing surfaces from dirt and grease. Inspect the sealing surface for cracks and damage.